Shake phone. Pick up bucket and place under green faucet. 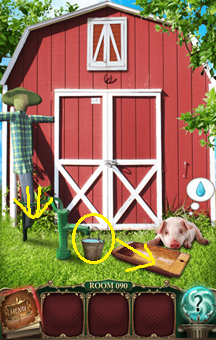 Take faucet lever from above barn door and put onto faucet. Drag lever downwards until bucket is full. 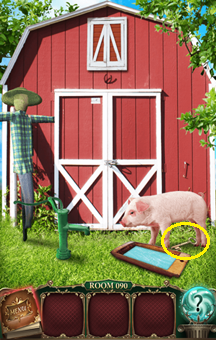 Take bucket and give to pig to get key.